What’s new at the 2014 Moscow International Auto Salon. An ordinary BMW X5 does not offer the protection of a security-enhanced model. It is a dangerous world out there. 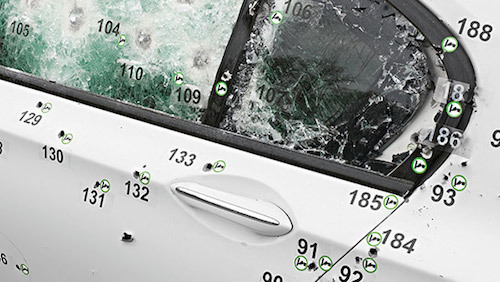 Drive-by shootings, carjackings and war zone weaponry can put you and your passengers at risk. For these reasons BMW provides a line of Security Vehicles that are specially designed to ward off criminals, gang bangers and terrorists all. This week at the Moscow International Auto Salon (MAIS), BMW took the wraps off of its latest security model — the X5 Security Plus. This crossover utility vehicle is specially fitted with heavy-duty, lightweight materials to protect the driver and passengers from an assortment of weapons including, .44 caliber handguns, AK-47 rifles, explosive devices and armor-piercing weapons. BMW says that it uses pre-shaped aramid and polyethylene parts as well as special steel to protect vulnerable areas in the each vehicle. Aramid is a type of fiber originally developed by DuPont more than 50 years ago and valued for its heat-resistant properties. It is the same body armor fabric used in various aerospace and military applications; it will not melt or ignite in normal levels of oxygen. Polyethylene is a common plastic. Even with the special security fittings, BMW claims that the changes are not apparent to the untrained eye. The overall harmony of the vehicle and its form and function remain. BMW makes use of security glass, run-flat tires and a self-sealing fuel tank to protect occupants. It also comes equipped with an attack alarm and an intercom system to communicate with the outside world. Each model comes with BMW’s xDrive all-wheel drive system, ensuring superior handling and excellent traction. The modified chassis and control systems perform the same way that BMW’s other sport activity vehicles or SUVs work, with fuel economy enhanced by the automaker’s Efficient Dynamics technology. 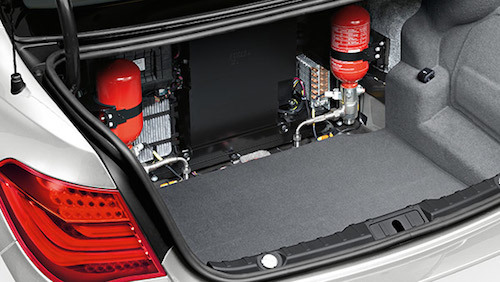 An onboard fire fighting system is a security vehicle feature. The X5 is not the only BMW model that offers security protection. In addition, customers can also choose a standard X5 Security package that offers a standard level of protection against handguns. 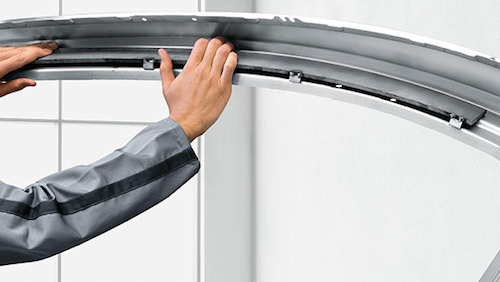 For optimum safety a BMW 7 Series offers state-of-the-art security in its High Security model. That model protects occupants from armor-piercing munitions and explosives. 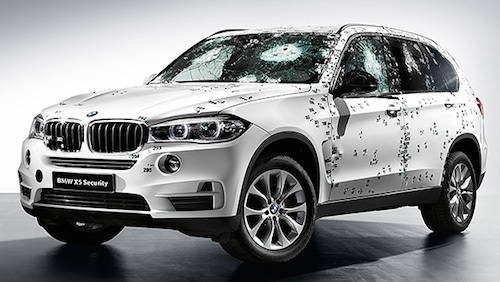 BMW follows international Bullet Resistant Vehicle (BRV) guidelines as set forth in 1999 and updated as recently as 2009 to cover five categories of protection: VR4, VR5, VR6, VR7 and VR9. 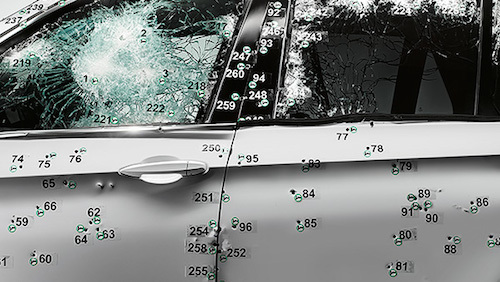 The most recent update introduced a change in trajectories for projectiles that strike a vehicle. The old standard offered protection for only certain types of shots conducted from limited angles. The new standard warrants protection for shots from any angle. Special materials protect vehicle occupants including Aramid and high-grade steel. Customers can order security vehicles outfitted with additional equipment such as: sirens, flashing lights and signal systems. Security driver training is also available as is special intensive training where drivers learn how to perform challenging maneuvers at high speeds, including escape turns and double lane changes. Are you looking to acquire James Bond-type driving skills? Your primer awaits you. Choosing the Moscow auto show to debut its latest Security Vehicle may have been timed to coincide with the rash of threats along Russia’s border with the Ukraine. Apart from that volatile area of the world there are many other places where crime, war or terrorism has diplomats, corporate executives and other high-profile individuals demanding the best protection they can get. Chevrolet Niva Rocks, But Will it Roll Here?